About one year ago I introduced the “CK Holliday Simulator”. I wanted to make a sim that will show the public how a steam engine really lives and breathes. 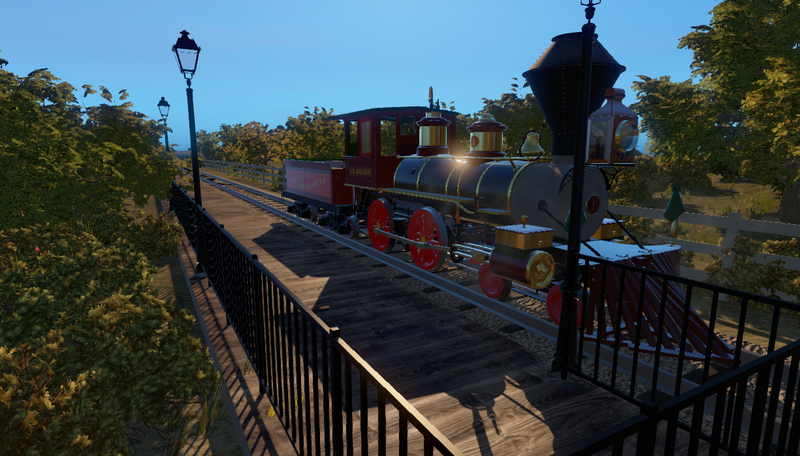 I picked my favorite steam engine as the platform. Well, if you’ve been following the progress on the blog you probably notice that the scope of the sim has grown quite a bit! And lately, I just felt that the sim would be incomplete if the CK Holliday didn’t come along with her sister, the EP Ripley. 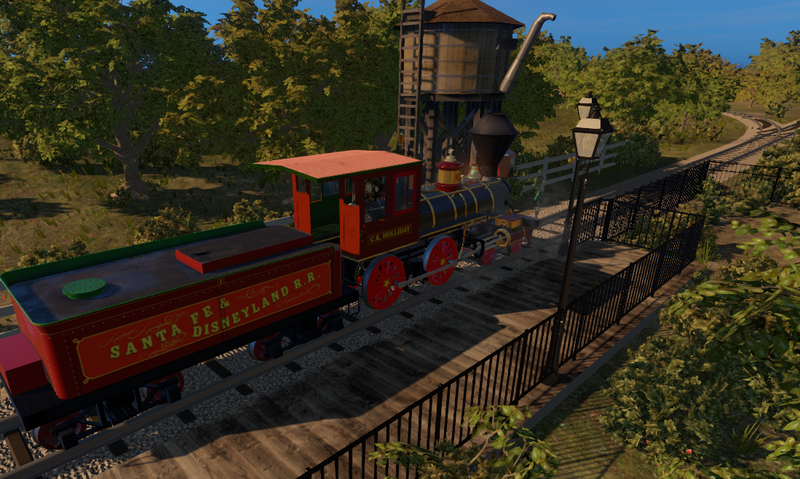 So, indeed, I’m happy to announce that the sim will feature the first two engines of the Disneyland Railroad. It won’t be just a “skin” make over. 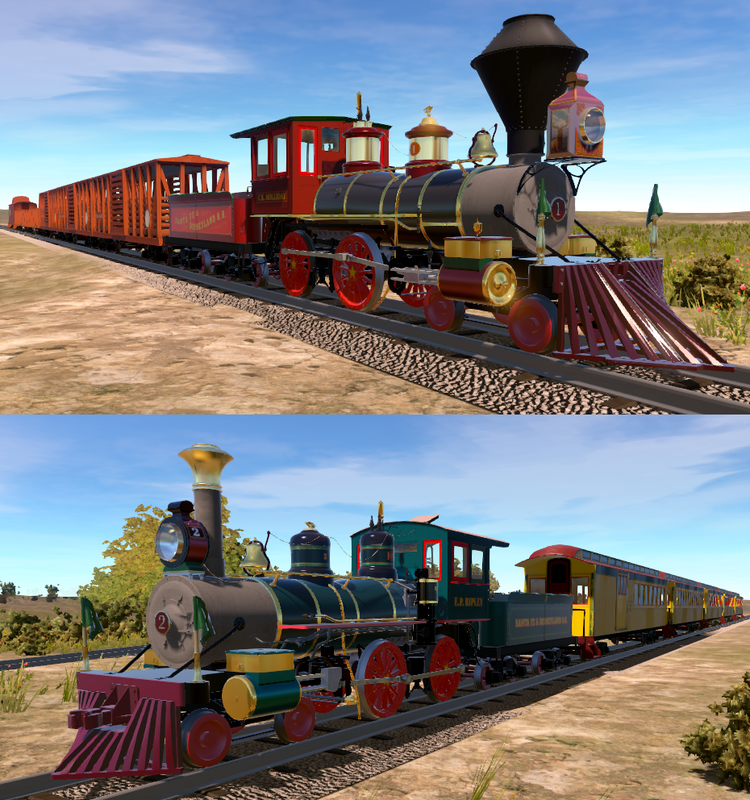 Though they were built from the same plan, the engines do have their own personalities and that too will be featured in the sim. 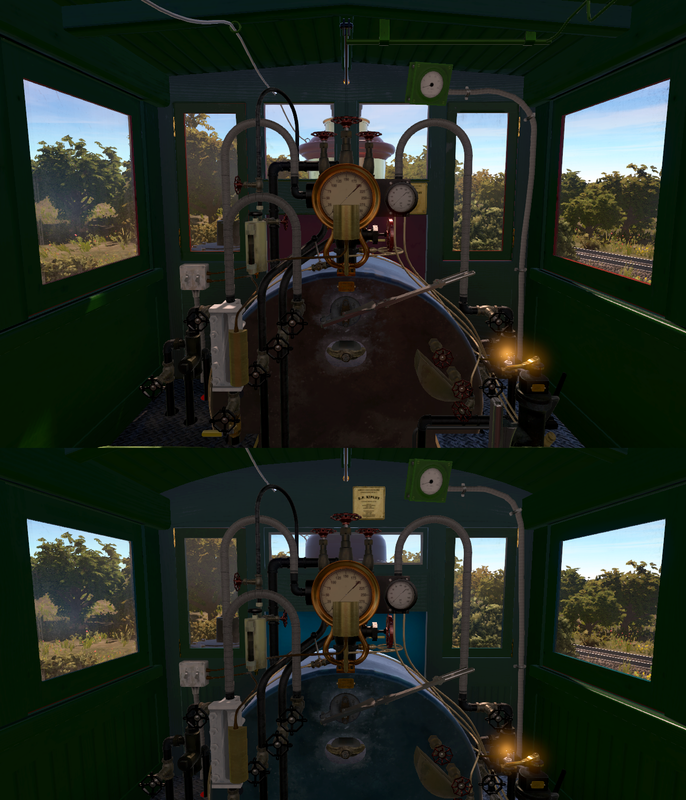 You can see that although the cab layout is the same, the subtle difference in the boiler jacket color, the window sizes, the side panel planking, and the cab’s shape does give it a different atmosphere. A sizable group of DRR fans do say that the number 2 is their favorite engine. Perhaps because it was Walt’s favorite? When he was at the throttle, it was always on the Ripley. So, which engine will be your workhorse in the sim? It’s another test day at the ranch! 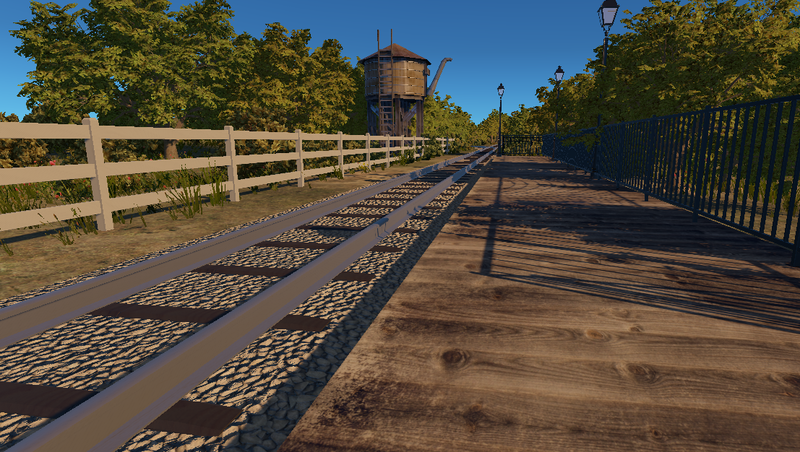 This is a fictional “railroad ranch” that I created for the purpose of building and testing the engine. It has over two miles of winding tracks that cut through the greens and the hills, some sidings, and few structures. Most importantly, it has left turns! 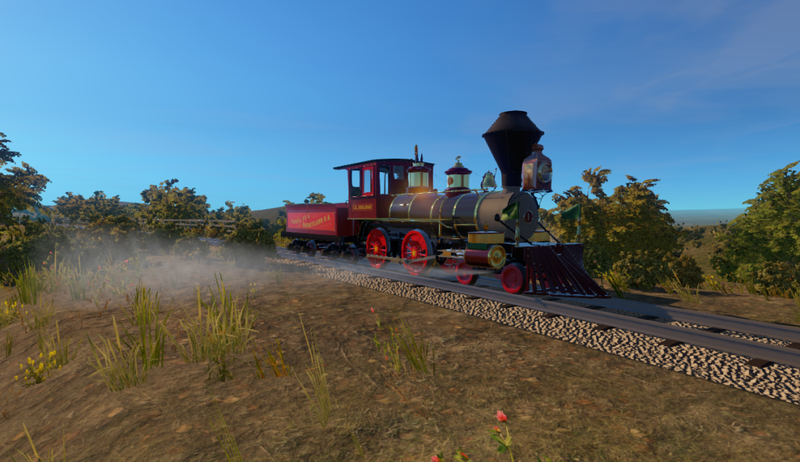 The ranch is coming along nicely as well, and it makes the countless amount of testings much more pleasant than pulling the engine around on an empty terrain. Yes, countless amount of testing! Everything has to be tested, so that’s firing up the engine, pull it around for a while, take notes, fix the problems, and start over. Here are some pictures from a recent test on a day that we were testing the air brakes. We wanted to know if the engine was stopping at a proper distance for a given brake pressure and train mass. In the picture, we’ve come to a stop to check the temperature on the brake shoes. If those shoes get too hot the brakes become ineffective. And while we’re checking the numbers, the engine gets a chance to rest while basking in the warm afternoon light, and her front is slightly masked by the escaping steam from cylinders. Her polished brass is surely bright! Let’s take a look at the classic paint job! Her new paint is bright but there are signs that she’s a hard worker. There are subtle worn marks to the anti-slip coating on the top of the tender, diesel stains near the fuel hatch, and small pools of water near the water hatch.